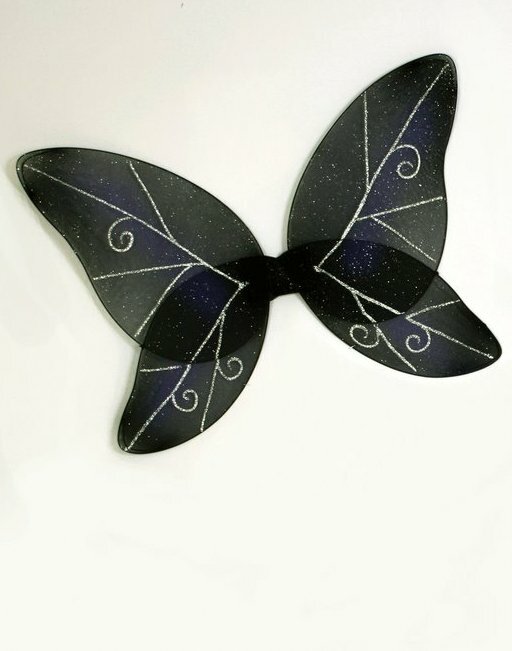 If you like your fairy tales black, you'll love these dark fairy wings! Black and midnight navy blue semi-sheer wings with silver glitter trim and comfortable black elastic straps to attach them securely to your shoulders. One size fits most adults and children. Check out more options on our Fairy Wings and Fairy Costumes sections!